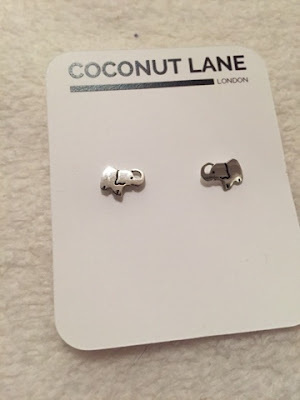 The Cutest Elephant Earrings from Coconut Lane & 20% Off! Well hello to you my reader chums! Today I wanted to share with you a new shop I've recently been introduced to, Coconut Lane. When the owner got in contact and told me what they offer, I was keen to have a scroll on their items and intrigued to see the cutest, quirkiest things- perfect for stocking fillers! After having a browse, I found these adorable elephant earrings I just had to buy! Elephants are one of my favourite animals and I've actually been on the hunt for a pair of earrings like this for a while now, so finding these was incredibly lucky. Other than unique jewelry, they sell stylish wall art quotes, cute cards and phone cases, everything a girly girl could possibly want. 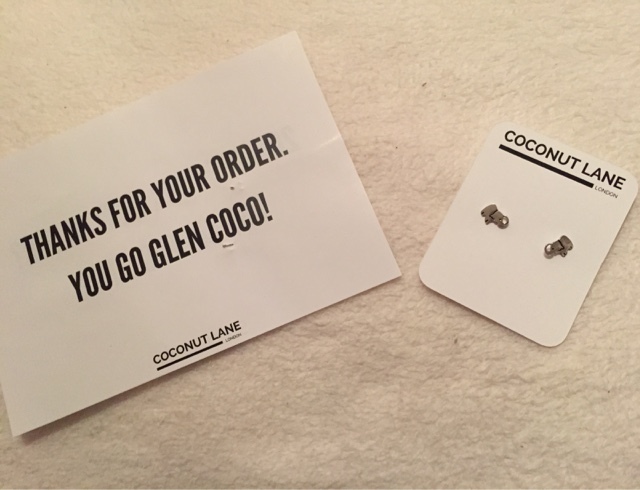 I really love the whole modern vibe the site has and I think it was such a sweet extra giving a 'mean girls' reference style card with my purchase. Now here's for the exciting part - Coconut Lane have supplied me with a 20% off code that enables one of my lovely readers to get a discount on their purchase! All you have to do is use 'della20' at the checkout to receive it. If you decide to buy something, please send me a picture on Twitter as I'd love to see what you picked. I hope you enjoyed this post. What's your favourite accessory? I loved these little elephants! Next on my list for sure! So cute right?! Aww yay, hope you like them! So adorable ! I adore their phone cases so much ! Those earrings are adorable!! So so cute! Those are such cute earings, so small and dinky! these earings are so cute! !